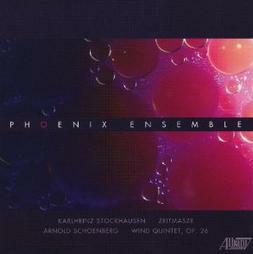 The Phoenix Enemble releases the first American recording of Stockhausen's Zeitmasze, an important early work written in 1957, and a fresh reading of Schoenberg's Wind Quintet, Op 26. This is Schoenberg's first ensemble work written in the strict 12-tone method, and stands as a monumentally influential piece in the history of 20th and 21st century art music. than a vigorous walk through an unfamiliar park. and percussion players. They play with passion, commitment, and superb technique. multifaceted world of 20th-century music. 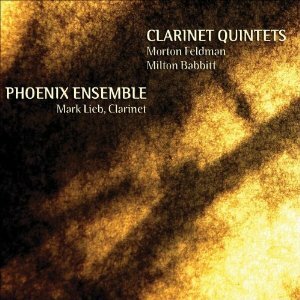 Our 2009 recording of Morton Feldman's Clarinet and String Quartet and the world premiere recording of Milton Babbitt's Clarinet Quintet received wide critical acclaim. Milton Babbitt was one of the 20th century's most preeminent composers. He was a principal developer of postwar musical thought and expression, theory, and pedagogy in the United States, and his influence on American musical composition has been enormously significant. With his approval, we are happy to present this first look at his important masterwork. Our first commercial recording was a collaborative effort with Furious Artisans and made possible by funding from the Aaron Copland Fund for Music. 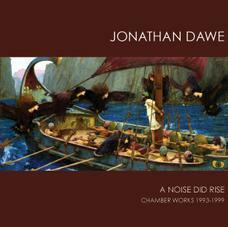 The Phoenix Ehsemble is featured here on one track of this album, Fractal Farm, a piece that we commissioned from Jonathan Dawe in 2004. We have signed with PARMA Recordings Navona label to release our new album featuring the music of Henri Marteau and Alexander Zemlinsky. Marteau's music is wonderfully charming and is widely unknown. We are happy to introduce his work to the public, including a world premiere recording of his Serenade Op 20 for winds, as well as his Clarinet Quintet Op 13, and a wonderful early work by the late romantic composer, Alexander Zemlinsky, his Trio Op 3. 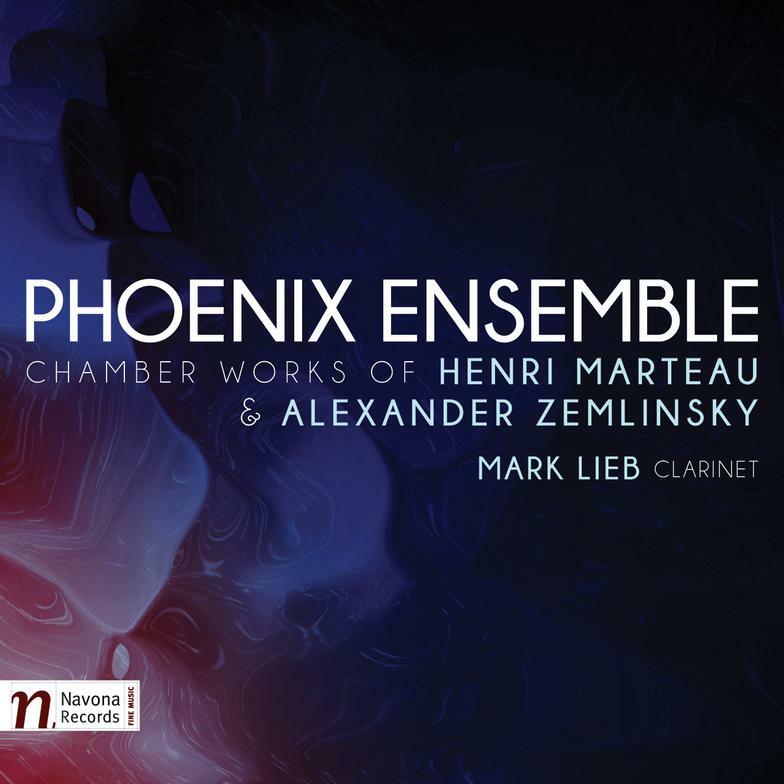 Chamber music for the clarinet in exquisite and colorful performances. Phoenix Ensemble shows as much fantasy as virtuosity. ​ The performances here are simply wonderful.